We stock all 270 colors in 12wt to 50wt, then all 88 colors at 80wt! 12wt Cotton: Use it for sashiko & red work stitchery. This is the thickest thread in the Mako' range. 28wt Cotton: It is strong enough to withstand the stress of hand quilting without needing to be glazed or waxed. 40wt Cotton: Favorite thread for machine quilting and all purpose sewing. A little heavier to show off the quilting stitches. 50wt Cotton: Quilters love it for its piecing and quilting. A staple for every sewing studio. 80wt Cotton: This is the finest Egyptian cotton, for use by hand or machine. 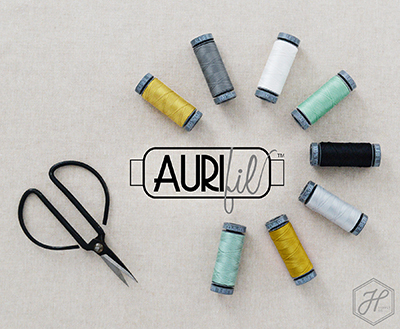 Your new 'go to' thread for applique and much more.